The Sycamore community is stronger than we’ve ever been. Stretching across 26 counties, from land donors to kindergarten classrooms to young couples and everyone in between, it’s the diversity of our members that makes our work so successful. 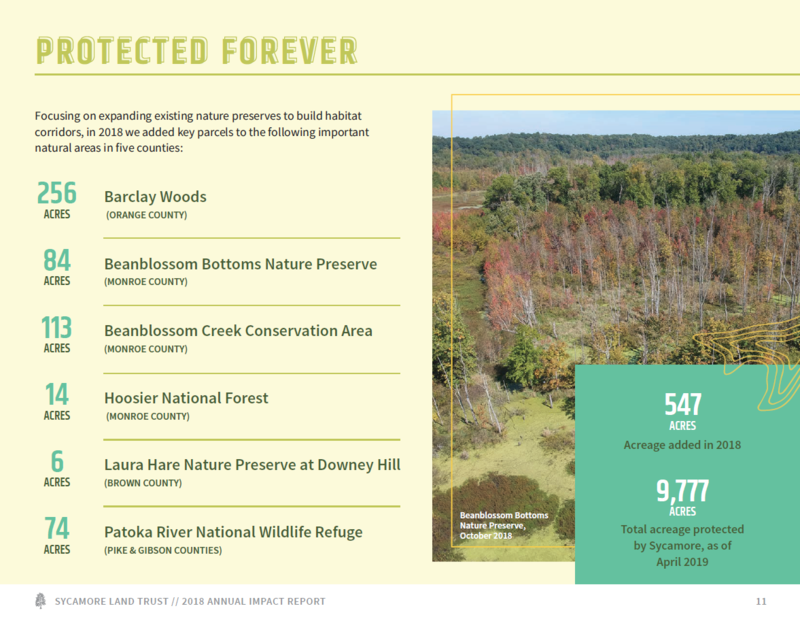 Thanks to the support of more than 1,130 members, 2018 was a successful year for conservation by any measure. 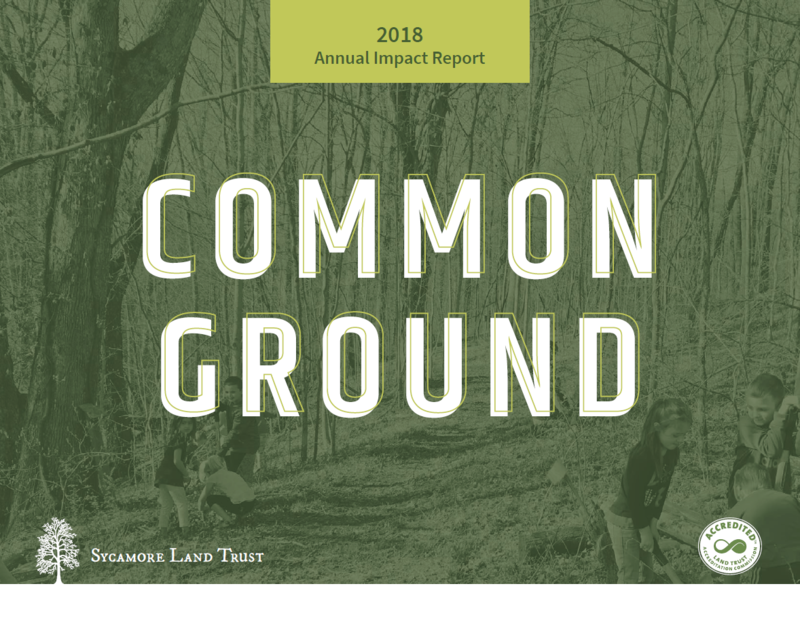 Take a look at our 2018 Impact Report, which is 20 pages full of stories, data, and facts to show how your donations were put to work last year. Thank you for being a part of this success! Truly, we couldn’t do it without you. We want to thank every donor individually, because each of you makes a difference. To save on costs and environmental impact, the mailed Impact Report did not include a printout of this long list. But you can view a PDF of all our 2018 donors and volunteers, and see your name along with everyone else who contributed last year. Again, thank you from the staff and board of Sycamore. 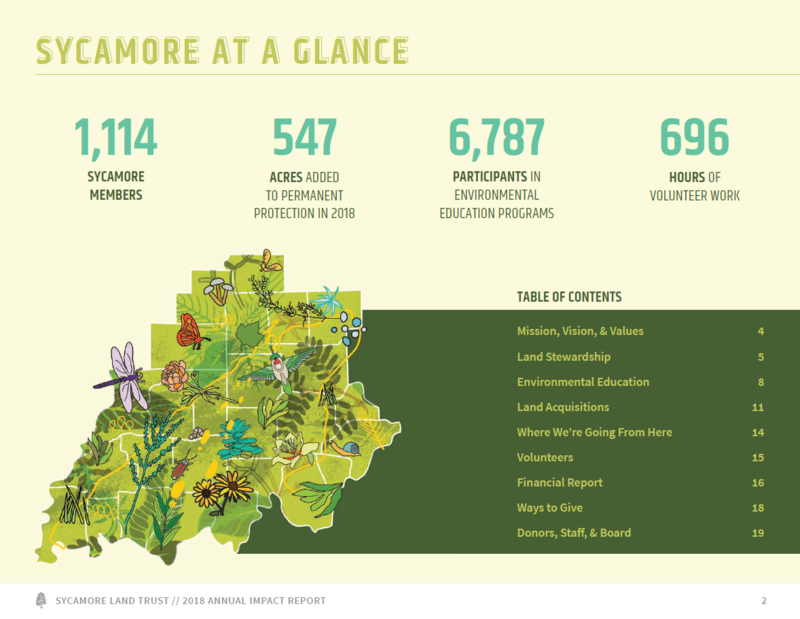 But more importantly, thank you from the critters, trees, and every living thing that finds a home on Sycamore’s 9,777 protected acres (and counting!). 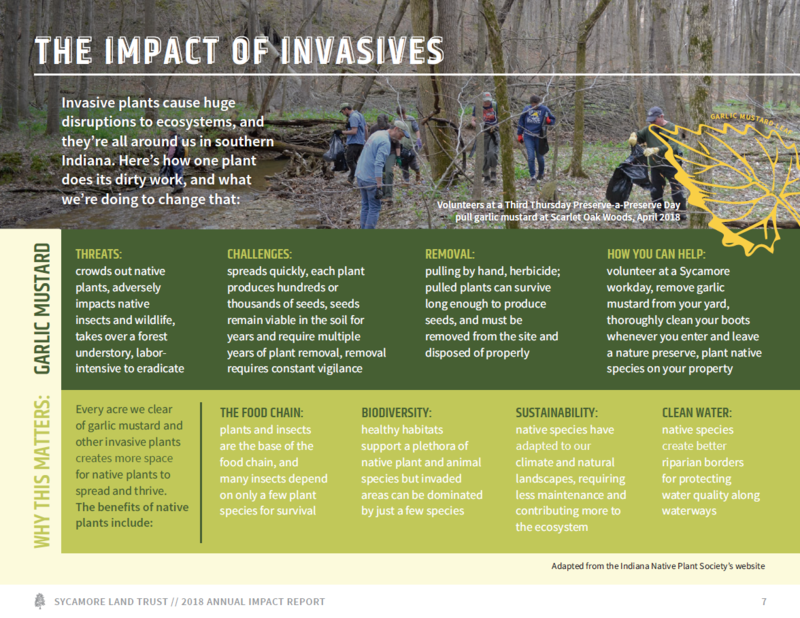 We invite you to visit a nature preserve and enjoy the results of your support. 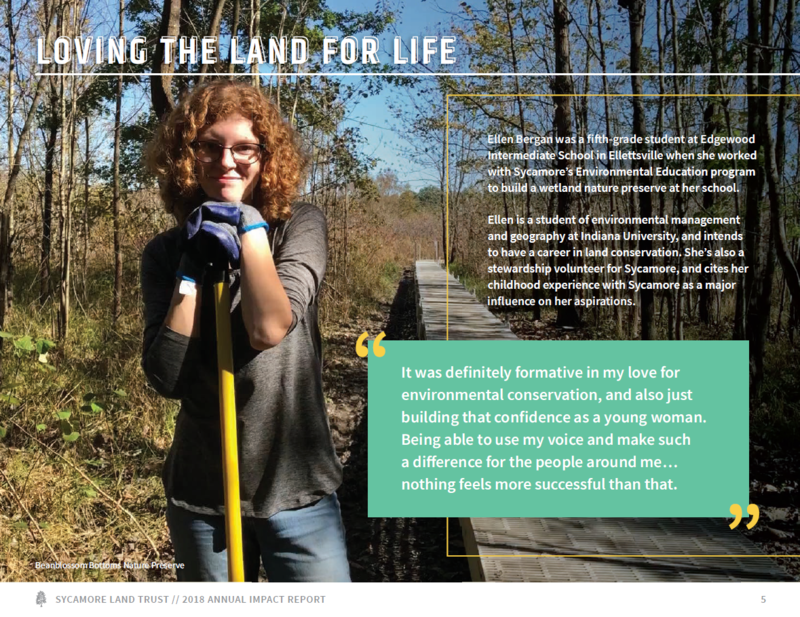 It’s never too late to donate to Sycamore and support our work in conservation and environmental education. Thank you!